When I first came across Online Profit Jobs it was due to a comment left on one of my videos for YouTube. The person who left this comment claimed they were able to make $3,000 in a week just by using the website. 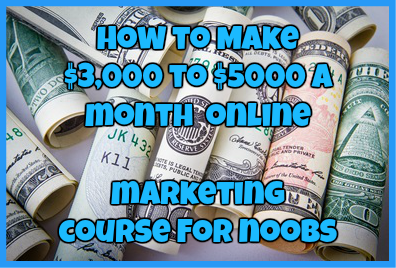 Of course, with the skepticism I have for my online programs like this, I decided to take a closer look at OnlineProfitJobs.com. Let’s jump right into my honest OnlineProfitJobs.com review to find out. OnlineProfitJobs.com is an online website that makes a claim that it can help you find profitable jobs online in no time. However, just by visiting the site the only options you are given to find these jobs are in the categories online surveys, writing jobs, social media, photography and mobile apps. While there are certainly different ways that you can make money using these types of platforms, OnlineProfitJobs.com will not help you to do just that in the slightest. While it is true that you can make a bit of money online by taking online surveys, this is not a reputable website that will help you do that. Click4surveys.com is a known survey scam site that has yet to pay any participants of its users. While this website may have the word legit in its name, it is far from it. This website is currently being advertised via Clickbank.com and has had a history of not helping those who actually pay for the service. If you want to make money online by writing, the best way to do so is Freelancing, not using this website. PaidSocialMediaJobs.com works very similarly to a freelancing portal rather than a program that will actually help you to make money online using Social media. The main issue with this program is that it sets up unrealistic expectations about the amount of money you can make and costs $47 to sign up for. Learn more about this site by clicking here. This is yet another program that is being advertised and promoted via Clickbank.com. Unfortunately, this website has clear indicators that this website is a scam such as claiming you will become rich overnight, uses fake video testimonials and makes the claim that you do not need to work that much at all. This website claims that you can make money by testing apps. While this is truly possible to make money online by testing apps right from your phone, it is not a lucrative opportunity at all, nor will it make you enough money to pay your own bills. According to the About Company Page on OnlineProfitJobs.com, this website claims to have been around for the past 15 years where it has been helping people find online opportunities that entire time. However, when you look closely at the domain information, you can see that just isn’t true. Instead this website has barely been around for a year. With just this downright lie right in the About Company info, we really can’t say what much more this company is lying about. 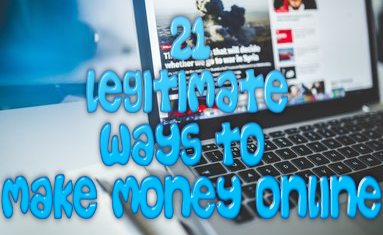 After carefully looking into OnlineProfitJobs.com, I can confidently say that this is a website I don’t recommend using, especially when it comes to looking for legit money making opportunities online. This website will only redirect you to websites that are known scam sites and will cause you to only lose money instead of gaining it. If I were you, I would just do some more research to find online money making opportunities. At least that is free. Have you have experience using OnlineProfitJobs.com? If so, let me know about your experience in the comments section below! I would love to hear from you! ← Rev.com Review: Can You Earn Money as a Captioner?